Culture – We seek out, hire and train the best in the industry. We do not departmentalize as we believe that the best way to be successful in this industry is to have the ability to do many things with hair. We are continually creating a team that believes in making people feel important, achieving prosperity through constant self – improvement, education, strong team work, having a positive outlook on life, building your business, and creating amazing, user friendly hair! Our New Stylist program is unique in that it is one on one, fast paced, and well-rounded. We assess new team members and determine specific educational needs. We understand that in today’s society, students want to get their hands in some hair and start developing their career quickly. We believe that the best way to train our new stylists is through a variety of methods. Our favorite method is hands on, so we have created a program where students are servicing real clients for a lower cost while being supervised and trained by educators. We also train through mannequin work, observations, individual classes, and test outs. We also provide a strong education in how to grow and maintain your business since we realize that being able to create great hair is only part of it. 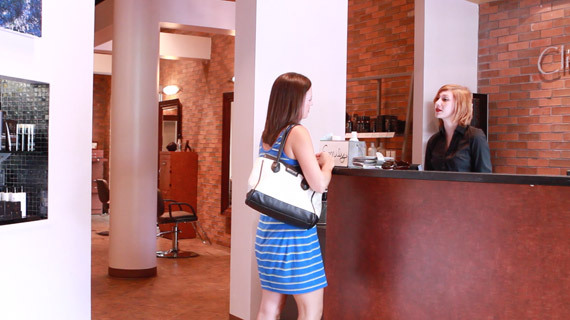 After moving on from our New Stylist program, we also provide continuing in salon education throughout the year and strongly encourage attendance of outside educational events.